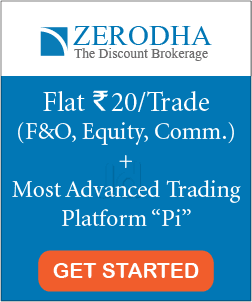 How is Sensex calculated? 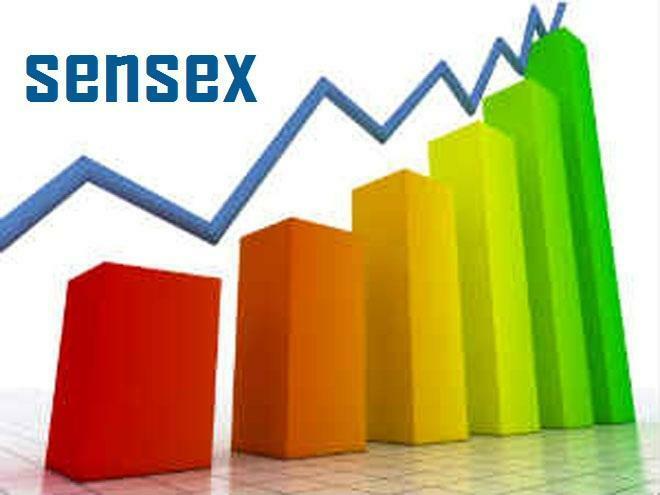 Sensex, also called BSE 30, is the market index consisting of 30 well-established and financially sound companies listed on Bombay Stock Exchange (BSE). The methodology used for calculating SENSEX is quite interesting. It is calculated using the ‘Free-float Market Capitalization’ method. It is defined as that proportion of the total shares issued by the company that is readily available for trading in the market. It excludes promoter’s holding. 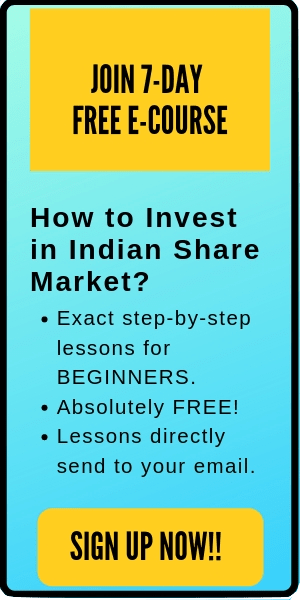 Suppose the price of each share is Rs 200. Now, for calculating the index, suppose the index consists of two stocks. Stock A and Stock B. 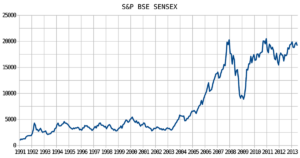 The year 1978-79 is considered as the base year of the index with a value set to 100. 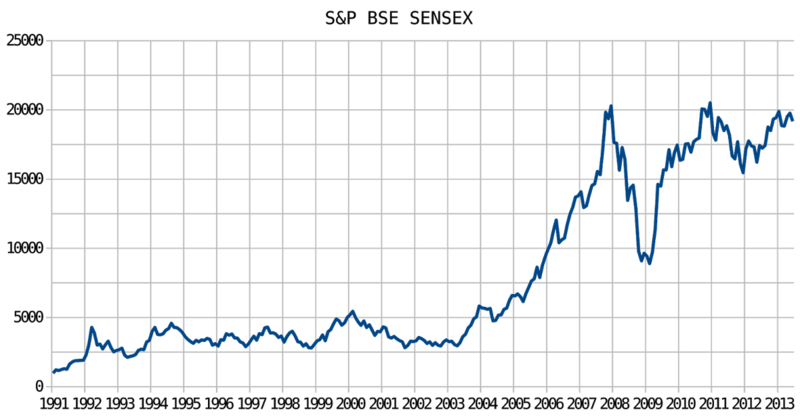 Suppose at that time (1978-79), the total free float market capitalization of the stock was said 11,000. Thus, the value of index today is 4000. THIS IS HOW SENSEX IS CALCULATED. The factor (100/11000) is called index divisor. Here, is the Sensex from 1991 to 2013. Note, the dip at 2008-09 during the great Indian recession.